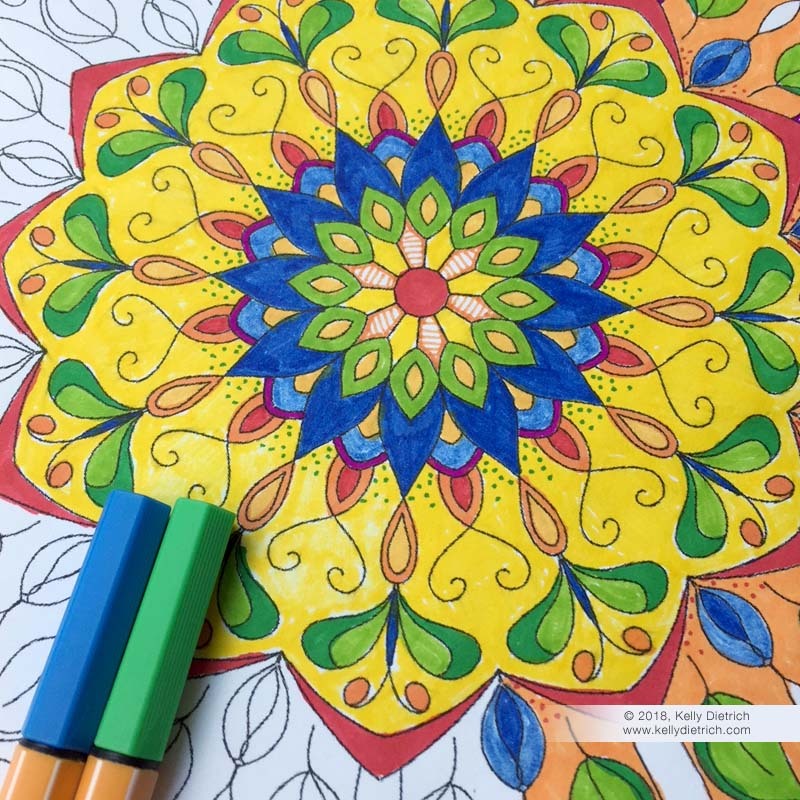 After a week's vacation in Hilton Head, SC, I'm back with my latest mandala coloring page, a mandala to celebrate the end of summer. To get your copy, click on the link below, download, print and color! Here's the new, free coloring page for the week of July 09, 2018: Summer Flower Mandala. 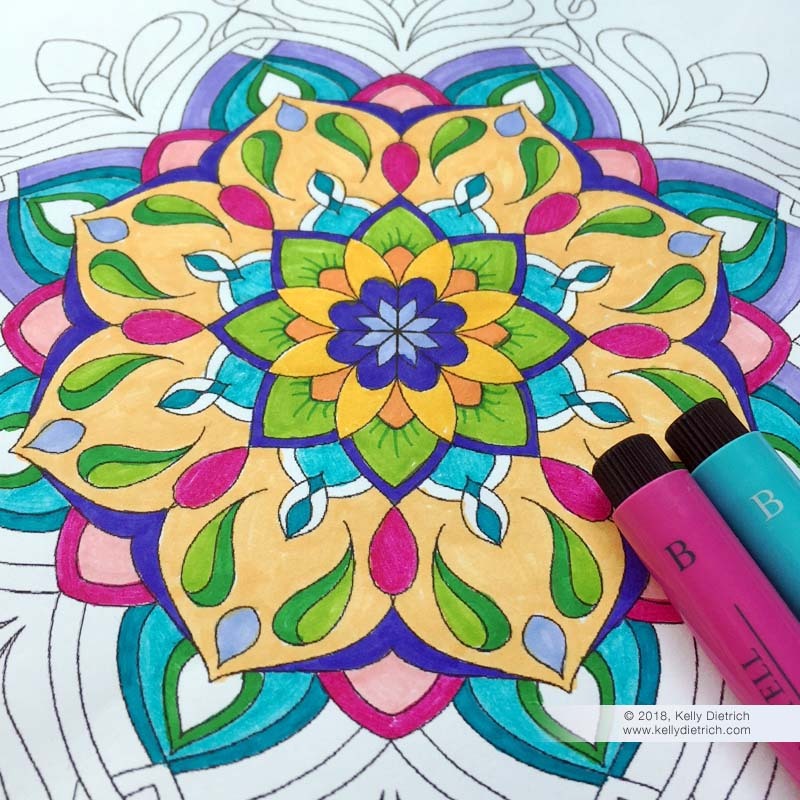 The intricate details of this mandala will keep your creativity flowing with lots of options for color choices, adding embellishments, and more. To get your printable, click the link below. Petals Mandala - a free, printable mandala coloring page by Kelly Dietrich. Download here. It's Monday again, and here's a new mandala design to download, print and color. I whipped this one up on my iPad - my newest favorite way to sketch!